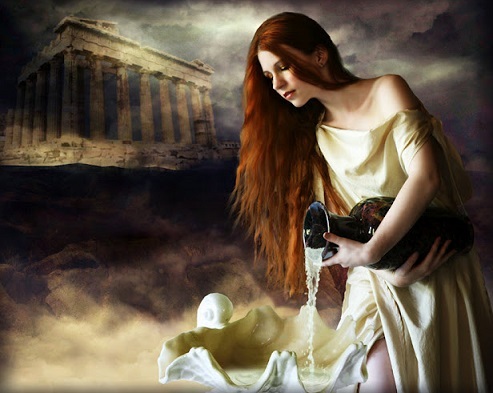 Akeso (Aceso) is a Greek Goddess known for healing (wounds) and curing (illness). She's the daughter of Asclepius and Epione, and Her sisters are: Iaso (the Goddess of recuperation from illness), Hygieia (the Goddess/personification of health, cleanliness, and sanitation) Panacea (Universal Remedy), and Aglaea/Aegle (the Goddess of radiant good health). Unlike her sister Panaceia, she represented the process of a curing rather than the cure itself. She is also called Aceso.